Piaggio LIBERTY and Derbi SONAR come with 2-stroke engine of 50cc or 80cc. Two scooters that combine elegance with a sporting spirit! 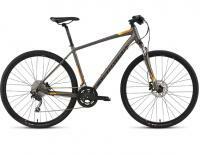 Reliable bicycle to rent! Suitable for road and off road rides on Paros, Free locker and helmet comes with your rental! option for lights, service kit and child seat available. Piaggio TYPHOON comes with engines of 50cc or 80cc. A dynamic and solid vehicle with immpresive perfomance! A bicycle made in Greece! 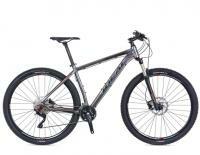 29 inch wheels lightweight bike for anyroad! Piaggio FLY comes with a 4-stroke engine of 100cc. It is suitable for two persons. A reliable scooter for your holidays in Paros! Kymco PEOPLE comes with a 2-stroke engine of 80cc. It is automatic, suitable for two persons and very easy to ride. SYM Symhony S or SR comes with an engine of 80cc.Suitable for two persons.A rental scooter with big wheels, 4stroke engine and space under the seat. 2015 model or newer ideal to ride on Paros! Sym Symphony comes with an engine of 125cc. It is suitable for two persons. One of the most popular scooters due to its style, comfort and flexibility. 2018 or newer!!! Kymco Agility comes with an engine of 100cc or 125cc. It is automatic and suitable for two persons. A new scooter for rent with big wheels, spacious seat, and plenty room for luggage. Reliable choise to move around Paros without any worries! Yamaha Crypton comes with an engine of 110cc. Is a semi-automatic 4 stroke motorcycle. The big wheels provide safe and relaxing rides! It has a small room under the seat and a top case for 2 helmets. If you do not like twist and go scooters this is the perfect bike to rent. Rent an ATV to feel freedom, adventurous and enjoy easy free parking in the city center! Explore Paros by a quad bike-4 wheeler, visit everything and get around the island in an affordable price! This the new Picanto. A small 5 doors rental car ideal for families up to 5 people. A very easy to drive car in light happy colours! 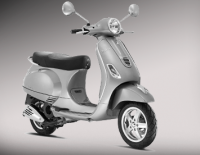 Vespa GTS Super comes with an engine of 300cc and it is suitable for two persons. A unique vehicle is now available for you to rent in the island of Paros! Piaggio Vespa comes with an engine of 125cc. A classic bike for two which companes a retro style and a satisfactory engine. Kymco X-CITING is powered by a 4-stroke engine of 250cc.It is suitable for two and has plenty of underseat storage. This scooter has what it takes to make transportation an enjoyable experience! Kymco MXU comes with an engine of 170cc.Rent a quad for two persons and have the experience of a lifetime! 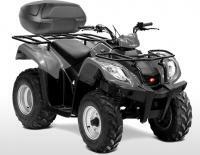 Flexible and easy to drive this ATV will cover all of your needs. Kawasaki KLX comes with an engine of 150cc.Suitable for two persons. If you like enduro this is an optimal choise for your ride on Paros. Rent one of the very few motocyle with gears on the island and drive with safety on and off road.